The perfect brew 1. Place a Choysa teabag in a mug or teapot and pour freshly boiled water over it. 2. Raid the bickie jar as the brew turns rich and dark. 3. Add milk and sugar if you like. 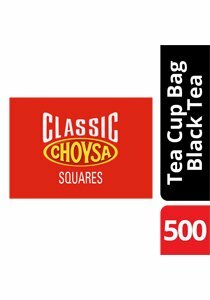 Servings per pack: 500 tea cup bags.